Set the maximum and minimum values for X and Y axis scale bar in the XY Chart by following the steps below. 1.Select Data Tab in the XY Chart. 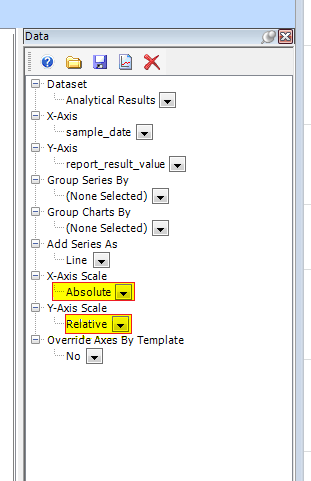 2.Set XAxis Scale or YAxis Scale \ Absolute. 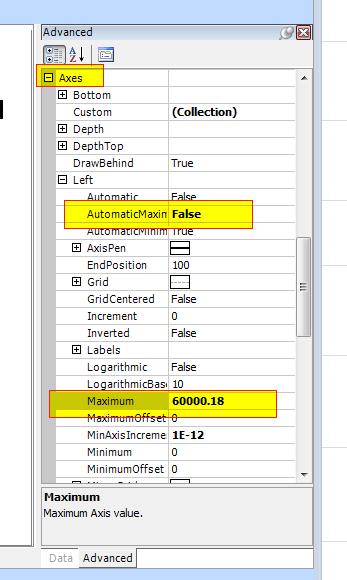 3.Set a specific maximum or minimum axis value in the Advanced tab in the XY Chart by selecting "Advanced/Axis/Left/Set Automatic Maximum" = False and "Automatic Minimum" = False. 4.Enter the desired absolute value.